Interview with Paul Desfarges | M.Afr. This post is based on an article from Jeune Afrique in December 2018 and is restricted to M.Afr. members for copyright reasons. Written originally in French, the post is translated quickly with the help of modern tools of traduction. In case of doubt, please refer to the original French version. Monks of Tibhirine, relations with the authorities, interreligious dialogue, evangelical proselytism: the prelate shares his vision of the role of the Catholic Church in the country. Nineteen religious Catholics, monks, white fathers and nuns, murdered in the 1990s during the Black Decade, will be beatified on December 8 at the Basilica of Santa Cruz in Oran. The memory of 114 imams who were victims of terrorism will also be honoured. Jean-Paul Vesco, Bishop of Oran, John Mac William, Bishop of Laghouat-Ghardai, Jean-Marie Jehl, Administrator of Constantine and Hippo, and Paul Desfarges, Archbishop of Algiers, will attend. For JA (Jeune Afrique), the latter explains the meaning of the event and discusses the place of the Church in Algeria. Jeune Afrique : How was the decision of the béatiﬁcation of these 19 religious taken? Mgr Paul Desfarges : It is the result of a long investigation that gathered all the testimonies concerning the lives and writings of these men and women of faith. At the end of a long work, Pope Francis signed a decree authorizing their beatification. It is right that these 19 people should be shown as examples of life according to the Gospel, models of self-giving to God and humanity, and people of deep faith. What is the symbolism of this ceremony and of the decision of the Pope? For our Church, they are a testimony of brotherhood beyond what may appear to be barriers. We can witness, Christians and Muslims, seekers of meaning and people of good will, that we can live together because deep down there is a human fraternity that unites us. We are in a climate of forgiveness, peace and reconciliation. Who are those 19 religious being beatified? There are the 7 monks of the monastery of Tibhirine, kidnapped and killed in the spring of 1996. There are also 4 white fathers murdered in January 1995 in their presbytery in Tizi-Ouzou, Kabylia. We also have Brother Henri Vergès and Sister Paul-Hélène Saint-Raymond, who were tortured in May 1994 in their library in the popular district of La Casbah, in Algiers. There are Esther Paniagua Alonso and Caridad Álvarez Martin, two Spanish nuns killed in October 1994 in the same district. Also to be beatified 3 missionary sisters murdered in Algiers in September and November 1995. 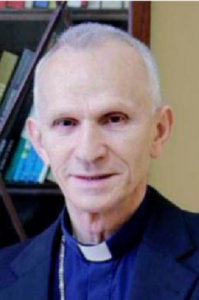 And finally, Bishop Pierre Claverie of Oran, murdered in August 1996 in the explosion of a bomb placed in front of his bishopric, which also killed his driver. As far as the 7 Trappist monks of Tibhirlne are concerned, the investigation has not yet shed full light on the circumstances of the abduction that led to their murder. The case continues to generate tensions and unease between Algiers and Paris. Will this beatiﬁcation ease these tensions? This is not at all the concern of our Church. We have always thought that they died because they had, in fact, taken the risk, knowing that they were threatened, of remaining at the monastery of Medea and among the Algerian population. Their relationship with neighbours and partners was more important than protecting their lives. That’s what makes them witnesses and martyrs. Moreover, it was not us, as a Church, who asked for an inquiry into their death. We are close to the people of Medea, and it is obvious to them that they were kidnapped and killed by an armed Islamic group. I have no further information. And once again, that is not the meaning we want to give to this beatiﬁcation. They had already given their lives when it was taken from them. Do you know who will represent the Algerian authorities at the ceremony? Since the beginning of this process, we have been very well supported by the Algerian authorities, in particular the Minister of Religious Affairs, who has done everything possible to ensure that everything goes smoothly. He will be present at this ceremony, as well as imams. We want to celebrate this beatiﬁcation not among Christians but with our Muslim friends and neighbours who also suffered and lost theirs own friends and relatives during this black decade. We also want to honour the memory of the 114 imams, men of faith and ﬁdelity to their conscience, who lost their lives because they did not want to sign fatwas and endorse the violence of armed groups. Not to mention the journalists, intellectuals and artists who died during those years. We feel that it is a time of communion, peace and coming together, which will not be turned towards the past but towards the present of living together. The 19 martyrs took the risk of dying rather than leaving those with whom they lived and who were the meaning of their lives. Why is it that Pope Francis, who will be visiting Morocco in March 2019, is not going to attend this ceremony of beatiﬁcation? I think there have been delays, and the Pope does not systematically come to beatiﬁcations. We are close to the [Algerian presidential election of 2019]. The authorities have made it clear to us that it is better to wait a little while. It is only a postponement. A possible visit of the Pope to Algeria is therefore in discussion with the authorities? Algerians are available and favourable to the coming of the Holy Father. We have been assured of this, but the conditions are not yet in place for a visit. I think that this beatification is an opportunity to prepare for the Pope’s visit after the next elections. What is the place of the Catholic Church in Algeria today, when we have witnessed the emergence of evangelical Protestantism in recent years? We follow our vocation as a universal Church. We are an international church with a community of expatriates, diplomats, students from sub-Saharan Africa, migrants from this part of Africa, as well as Algerians of the Christian faith. Our vocation is to love and serve, as St. Augustine said. We are part of the long tradition of Saint Augustine. Are you concerned about the proselytism of the Evangelical Churches? Or is this part of the practice of religious life? Our Catholic Church does not proselytize. We believe in witnessing in love and brotherhood, and every sincere believer bears witness to his or her faith. We are not going to look for anyone because it is God who converts. We only convert to God. Our evangelical brothers have another practice of religion. We have fraternal links with some, but each one has his own vocation. Do you feel a religious revival in Algeria? Yes. We feel that this people is proud of its Muslim faith. We also note that, in society, there are questions that arise. There are people who are looking for an open and tolerant Islam, a larger space of freedom. How has interreligious dialogue evolved in Algeria in recent years? We can speak to each other with much more truth and recognize ourselves in what brings us together. Despite the differences, the essential thing is spiritual communion. Our 19 martyrs are for us a path to this spiritual encounter. We can meet between Christians and Muslims in moments of sharing, prayer and meditation without entering into theological discussions. The spiritual persons of each religion can meet at the deep level of faith. As Archbishop of Algiers, what relations do you have with the Algerian Minister of Religious Affairs? Excellent personal relationships. My brother bishops also have very good relations with Minister Mohamed Aïssa. He is attentive to the life of our Church and, whenever we raise an issue, he is attentive. Precisely, one of the problems raised is the refusal of the authorities to grant visas to certain religious people. Has it been resolved? It is not settled. It is one of our difﬁculties. We don’t always understand these refusals. The problem of visas does not only concern religious men and women. Nor is it an absolute refusal. Some visas are granted. Others take a long time to obtain. We are still in dialogue with the Minister of Religious Affairs, but this question does not completely depend on him.